Some Instagram users compare the ‘To All the Boys I’ve Loved Before’ star to the Canadian singer after Noah shares an old picture from his days on ‘Austin and Ally’. 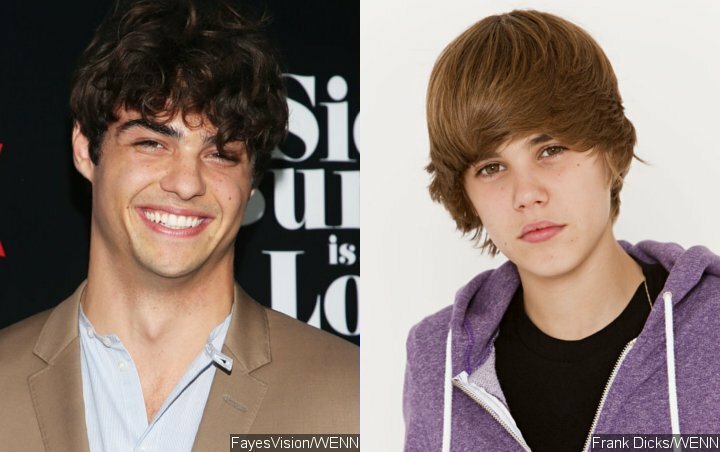 You may know Noah Centineo as that sweet hunk in Netflix’s movie “To All the Boys I’ve Loved Before“, but how did he look like in his younger days? Thankfully, the 22-year-old has taken to Instagram to share a glimpse of his teenage self. Posted on Friday, November 2, the throwback picture features younger Noah in a purple shirt and matching striped tie. He was sandwiched between his two friends, Tomer Bitton and Aaron Kleinert, who now play soccer at Lynn University. “When you were younger you looked like a mini fetus Justin beiber [sic],” another fan commented. “I literally thought you were Justin bieber,” added another user. Meanwhile, someone else thinks that Noah looked like young Taylor Lautner in the photo. “when he looks like taylor lautner during the shark boy age,” the said fan commented. Before he rose to fame as Peter Kavinsky in Netflix’s movie “To All the Boys I’ve Loved Before”, Noah appeared in three episodes of “Austin & Ally” between 2011 and 2012. He also had a starring role on Freeform’s (previously known as ABC Family) family drama series “The Fosters“.